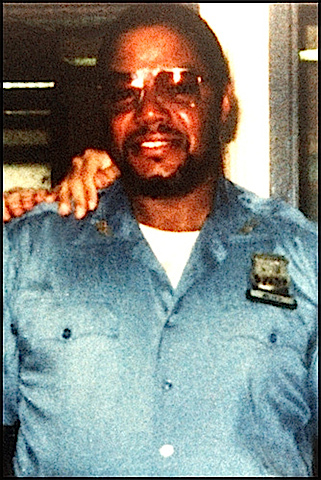 Corrections Arturo Meyers was shot and killed when he stepped between a man and a woman who were arguing at the corner of Georgia and Sutter Avenues in Brooklyn. Officer Meyers had been with the agency for 19 years and is survived by his wife, son, and daughter. One of the saddest moments of my career. After having worked together in H. D. M., I had the unenviable job of sitting with Mrs. Meyers and his daughter and informing them that not only had Artie had been shot, but that he had not survived his wombs. A week later, while attending my daughter's High School graduation, i can still remember his daughter crying and shouting that this can't be so, daddy. "You promised to attend my graduation." I shed many a tear that day, celebrating my child while remembering Artie's daughter's words of dispair.